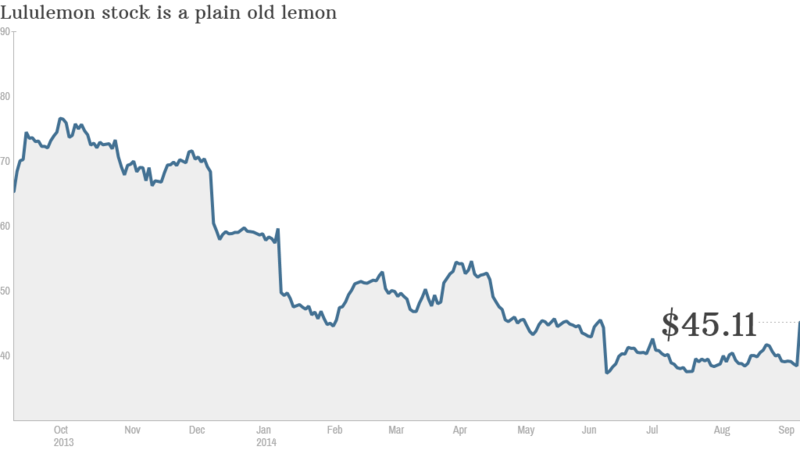 Lululemon soars 17%: Sheer pants nightmare over? The yoga apparel maker's stock surged more than 17% in early trading Thursday after the company reported better-than-expected sales and profits for the second quarter. Why this big of a rally? Investors seem relieved by the revenue and earnings forecasts for the year, which are a bit higher than forecasts. 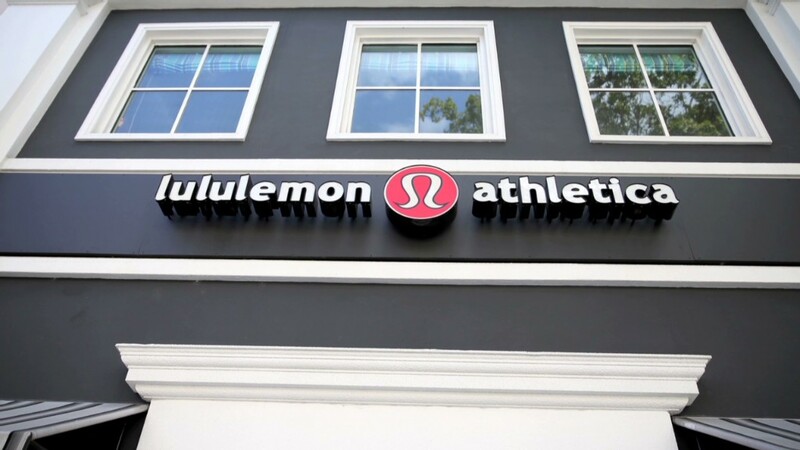 Lululemon lowered its outlook in June and that freaked out the market. The company is in the midst of a turnaround under new CEO Lauren Potdevin, who joined lululemon (LULU) following the surprise departure of Christine Day in June 2013. Lululemon has had its share of problems in the past few years. They began with a recall of some of the company's black pants after learning that they were a little too revealing on the bottom. The recall hurt sales and profits. Making matters worse, lululemon founder Chip Wilson insulted customers in November when he said in a television interview on Bloomberg that one reason for the see-through pants was that "they don't work for certain women's bodies." He went on to suggest that it was about the "rubbing through the thighs" -- a comment that was immediately met with scorn from people who felt Wilson was saying some of his customers were too fat to wear the pants. Apparently, inserting a foot in your mouth is a patented Wilson yoga pose. Wilson, who was also the company's chairman at the time, later resigned. But he then engaged in a bizarre war of words with the company's board and threatened to wage a shareholder proxy fight for control of lululemon. Wilson eventually agreed to sell a big chunk of his stock and abandon his proxy battle plans. So where does all this leave lululemon now? The good news is that overall sales in its most recent quarter rose 13% from a year ago. But dig deeper and the numbers are still a little lacking. Same-store sales, a measure that many retail analysts focus on because it excludes a bump retailers get from opening new locations, were merely flat in the quarter. And earnings, while better than what Wall Street had forecast, were down from a year ago. In the company's earnings release, Potdevin stressed that he was "pleased to be on track" with the company's turnaround efforts but that "there is still much to be done." Even if you factor in the big move in lululemon's shares Thursday, the stock is still down about 25% so far in 2014 and is trading more than 40% below its 52-week high. What's more, lululemon faces many competitive threats. Under Armour (UA) recently inked supermodel Gisele Bundchen to an endorsement deal, a clear sign that Under Armour wants to be an even bigger player in women's athletic apparel. Nike (NKE) and Athleta, which is owned by The Gap (GPS), are also strong rivals. But give lululemon some credit. The worst appears to be over. But can the company return to its pre-recall heights? That might be a stretch.